The Women’s Topo Tee is a casual fitting short sleeve tee with a chest pocket. Designed in a comfortable-to-wear drirelease® fabric, the Topo has a round-neck style and features a subtle logo on the back shoulder. 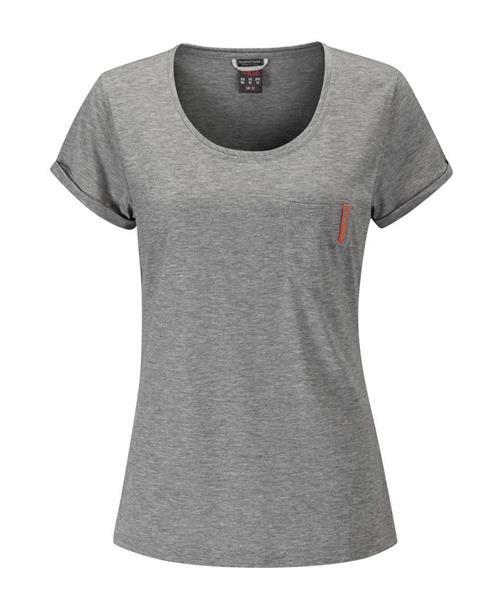 * Drirelease® moisture wicking and fast drying fabric with odour control"
Topo Tee - Womens is rated 5.0 out of 5 by 1. Rated 5 out of 5 by debB from favourite T ever I am a nomad so I live out of a suitcase and each item of clothing is worn a lot. This Tshirt breaths well, washes well, dries quickly, holds it shape no matter how often I wear it. I bought a second one in my favourite colour.